How to Delete Swarm Account :- Swarm is a social media app that lets its registered user share their location on social media platform. We have recently received some mail from our reader that they want to delete their account from swarm website. After studying about this topic we find out that many user deleting their account because of email spamming or they are using different platform to share location or information. If you only delete this account because of email spamming or newsletter then you can unsubscribe from their mail by marking it spam or if you have another reason to delete your account i will guide you step by step on how to delete your account from swarm account. Swarm app was developed by Foursquare Company and it is one of the best social networking app in all over the world. Currently the website is available in 13 different language and it is available to download in iOS, Android and Window Platform. Now you will see your name and pic on top right bar mouse-over to your image a pop down menu will appear then click on settings. On Settings Page Click on Privacy Settings Link given at right section. Now enter your reason for deleting your account by checking on one box and then scroll down to bottom to click on delete account button to permanently delete your account. Note : Once your swarm account is deleted it will never be recovered and this process will delete both of your account foursquare and swarm. For more information on how to delete Swarm account stay updated to this website. Hi Akbar i have updated the website section for deleteing account. You can also delete your account by go through the following link https://foursquare.com/delete_me be noted that it will erase all your account with foursquare. Hi Sepideh please tell me your mobile model number and also tell me what problem are you facing while deleting your account. i can’t delete my swarm account ,i login with facebook ,and i don’t have foursquare account ! 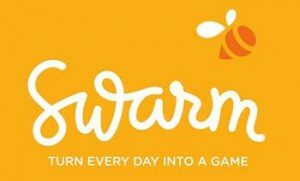 On App Settings move your mouse cursor to Foursquare(Swarm) App and click on X button to remove it your account will automatically deleted from the website it may take 72 hour to permanently remove your account. Hi Neda follow the process and tell me if you need assistant in any point mentioned above. hmm that strange please reassure you are login using correct detail sometime you copy password it may add blank space in login id and password that may cause login issue. Second thing is have you ever send email to delete your profile, if you cant login using this method send an email to swarm and in title write help me to login in swarm account and on message box type that you cant login to your account, state your problem and send it to support@foursquare.com. In the meantime you can login using your phone number and password if you can. You can also try forgot password link which is given at login screen in case your password might changed by others. hi sara is your past account you want to delete? did you know the login credential of the email address of your swarm account? Hello I can’t delet my account can you help me I have 2 account and I forgot my pass please! Go to the url “https://www.swarmapp.com/login”. Now click on FORGOT PASSWORD? link. It will take to you to foursquare website click on link I SIGNED UP With My Email. Now enter your email address and click on submit. Open your email account and wait for the company email to reset your password. once your password is changed sign in to your account and follow the process given above the page.